HCMC has set a target that 15-20 percent students of each educational institution in the city will use school bus by 2019-2020. However statistics show that the number of students using this service has been reducing. 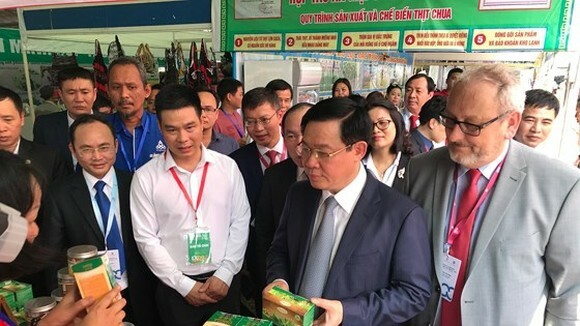 That was reported at a conference hosted by the HCMC Department of Transport and Department of Education and Training yesterday to review school bus operation in the city. 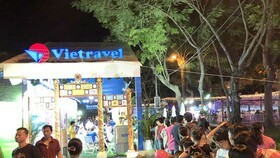 Mr. Nguyen Van Cai, vice principle of Quang Trung High School in Cu Chi district, said that formerly when the school received 100 percent financial assistance for students to travel by buses free of charge, over 80 percent of students registered to attend. However, the number has strongly reduced year by year after the city adjusted the subsidy level forcing parents to pay part of fare. So the school has stopped organizing the service. In 2014-2015 academic year, the school had 67 students registering school bus. It dropped to 39 in 2015-2016 and 17 students in 2016-2017. Similarly, Mr. 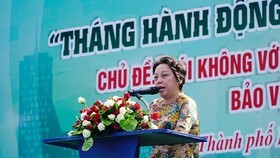 Le Xuan Nguyen, vice principle of Ngo Quyen High School in District 7, said that previously the number of students traveling by buses neared 50 percent. After the city increased the subsidy level, many families have changed into public bus service. 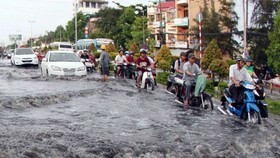 A representative of Long Thoi High School in Nha Be district stated a problem in school bus service. According to regulations, schools must inspect and do statistics on the number of students going to school and home by bus every day while they have not had staff to do that. 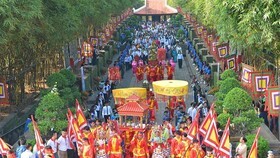 In addition, schools have been required to confirm the list of students in each trip. The principle of a high school in Nha Be said that it was difficult to check the number of students but it was more difficult and unfeasible to confirm student names and ages in each trip. So he had no choice rather than signing the list unwillingly and randomly to make it through. Statistics by the Department of Education and Training show that by the end of May this year, only 134 schools citywide attended school bus service, a reduction of 7 compared to the end of 2016. Districts 4 and 7 have withdrawn from the program because students have no need. 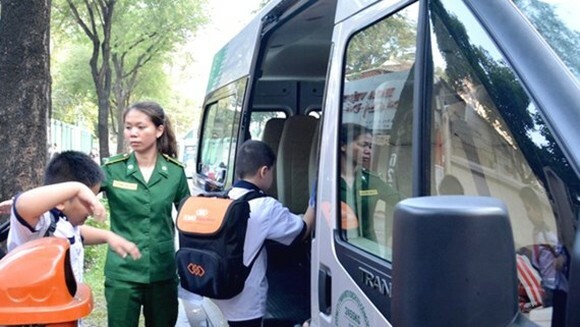 At present, the city has 37,375 students traveling by subsidized buses mainly in five suburban districts including Can Gio, Cu Chi, Hoc Mon, Binh Chanh and Nha Be. 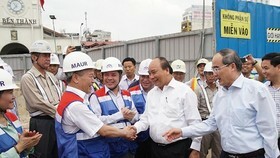 Mr. Nguyen Lam Hai, deputy director of the HCMC Public Passenger Transport Management and Operation Center, proposed transport firms to take advantage of empty premises of state and government agencies such as ward and commune people’s committee headquarters, stadiums and fitness and sport centers to make bus stops. Besides carrying students to and from schools and home, transport firms and schools can cooperate to transport them to attend other extracurricular activities. 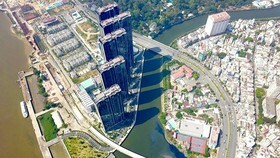 That will help the firms have more revenue to make up labor and fuel costs and improve service quality. 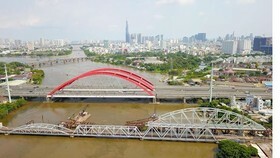 Mr. Tran Quang Lam, deputy director of the city Department of Transport, said that the agency would advise the city People’s Committee to rebuild subsidy levels of school buses. Specifically, the subsidization program will be applied in fixed routes instead of trips as present and student management will be conducted through smart cards. Besides the city will study to pilot operation of tramcars, which are only served tourists now, and taxi cabs to carry students during some fixed time slots to increase the society’s belief in this mode of transport.